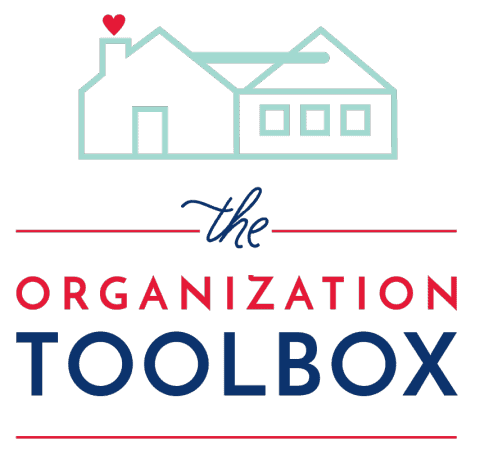 Last week, I guest featured over at I Heart Organizing and chatted about how my husband and I organize all the logistics of our military moves and corral all the paperwork that comes our way during the process. In the days since that post went live, I have been contacted by many new readers (most military spouses themselves!) 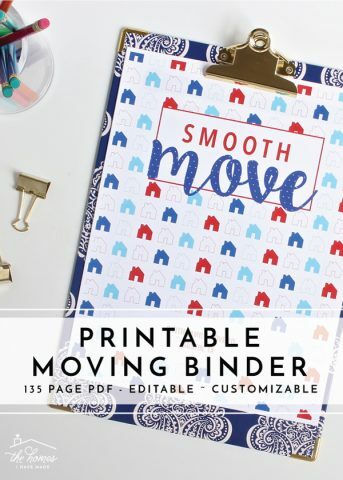 eagerly asking and hoping that I’d share our Master Moving Spreadsheet as well as the printables I made for our Smooth Move Binder. 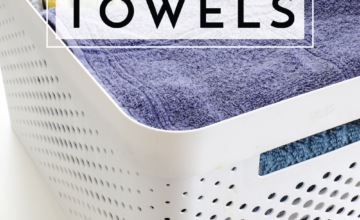 I am always happy to share materials that make life easier and more organized, so I’m checking in today with the (free!!!) downloadable files! 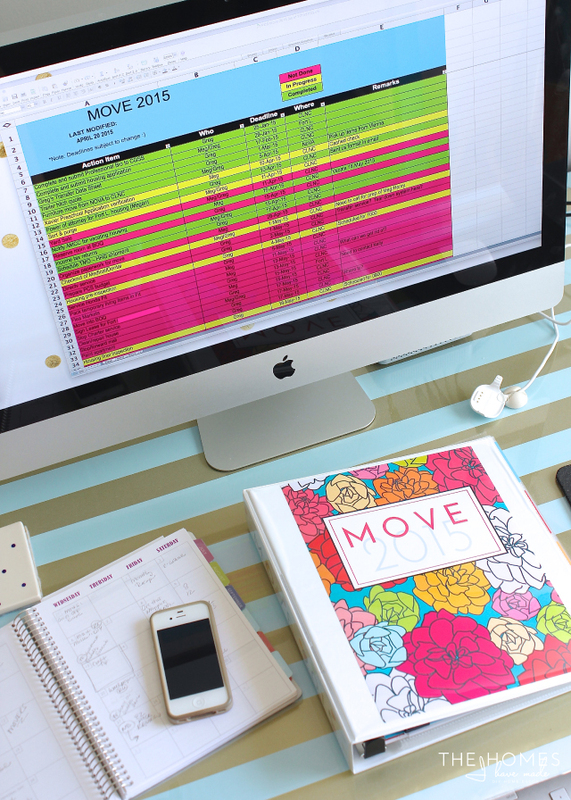 In my post over at I Heart, I explain how we utilize a two part digital+paper system to keep ourselves organized. 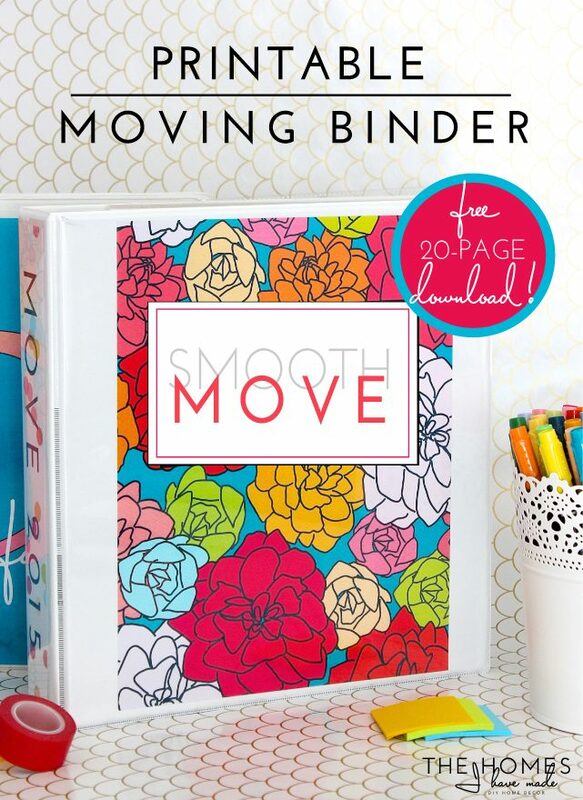 Our Smooth Move Binder helps us keep track of paperwork, receipts, measurements and more; while our digital Excel spreadsheet serves as our master to-do list. Our binder is organized into Here (current duty station), There (next duty station), In Transit, and Miscellaneous. 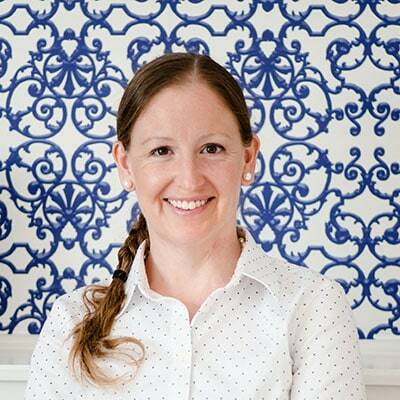 Head over to Jen’s blog to read in detail about what is included in each section…the main components being some handy worksheets I created to make our transition easier! 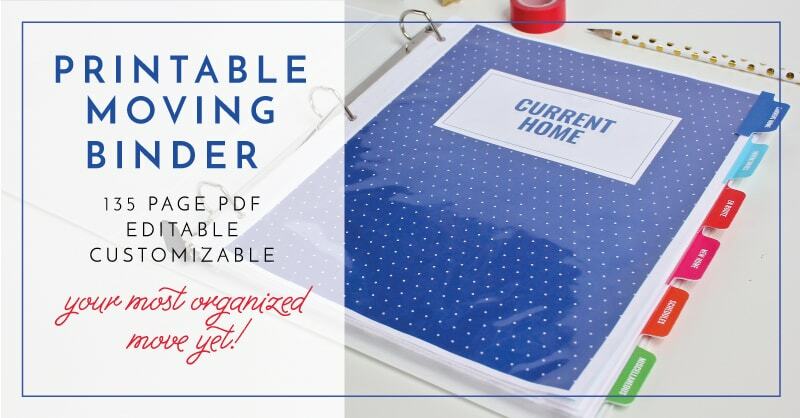 I now have my worksheets all formatted and ready for you to download, print and load into a 3-ring binder! This is a FREE download, and I ask that you use it for personal use only. Each page that you see above appears in the file in duplicate (front and back). 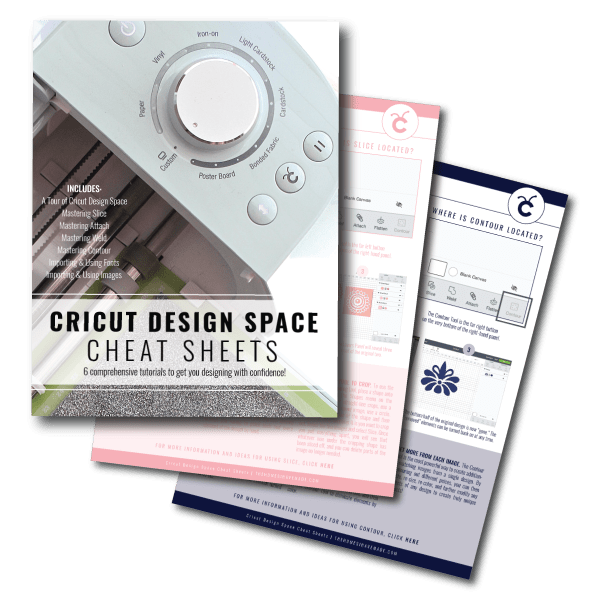 I recommend printing the pages double-sided and putting them in a three-ring binder in order for the formatting to flow properly. 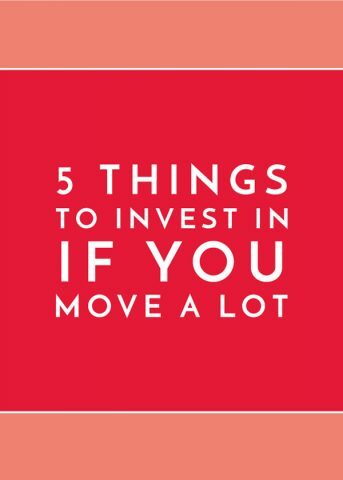 Of more interest, I think, to many readers is our Master Moving Spreadsheet! We specifically keep this as a digital resource so that we can re-visit it with every move and update it/customize it easily. This document is an Excel spreadsheet, and you will need corresponding software to view and edit it. 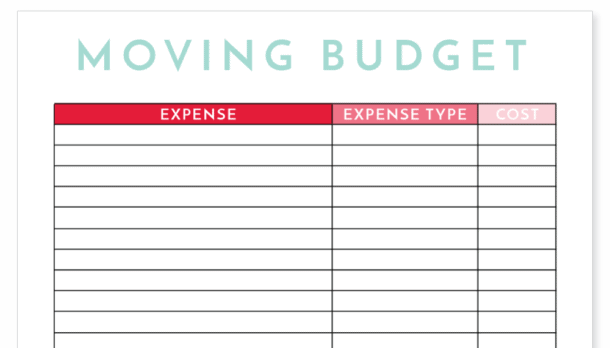 I left the spreadsheet as an editable workbook so that you may use it in any way you need. I encourage you to delete out line items that don’t apply to you, as well as add in items that you need to remember/complete. 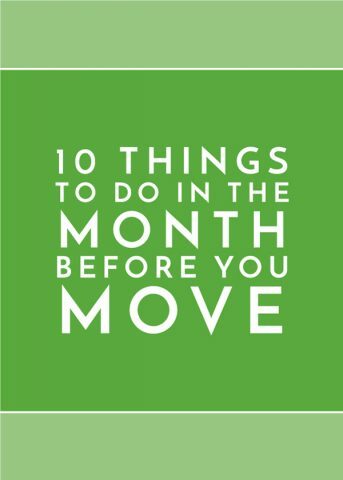 Add in names, locations, dates and tasks that are unique to your specific moving situation. These taskers are NOT organized by the order in which you need to complete them. I highly suggest you look at your own moving timeline and situation and populate the Deadline field with specific dates. 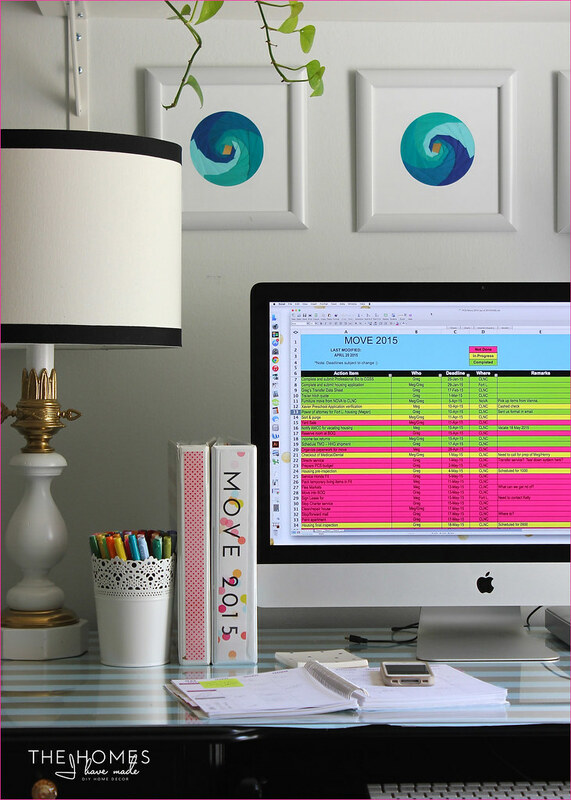 THEN sort the spreadsheet by Deadline to get a time-specific, ordered list to work through. Changing the color codes to “In Progress” and “Complete” does not happen automatically. You will need to change colors manually as you complete tasks. I tried to think of everything on this worksheet, even things that don’t apply to our family. 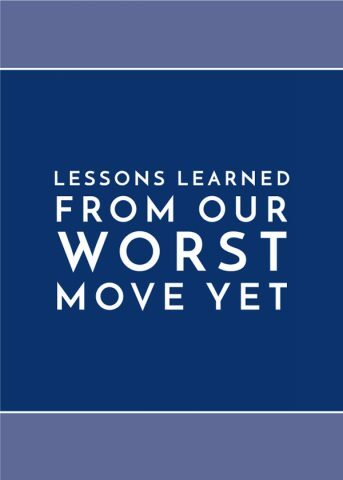 I am SURE there are tasks I have forgotten or haven’t included because we haven’t encountered them in our own moves. Please add these tasks onto your own document. And if you think about it, email me with your add-ins so I can make this as complete and comprehensive list as possible for everyone else! 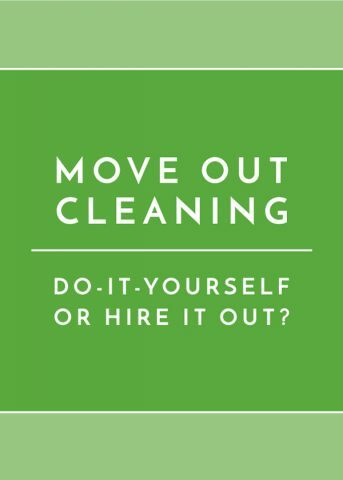 READY TO GET YOUR FREE MOVING RESOURCES? 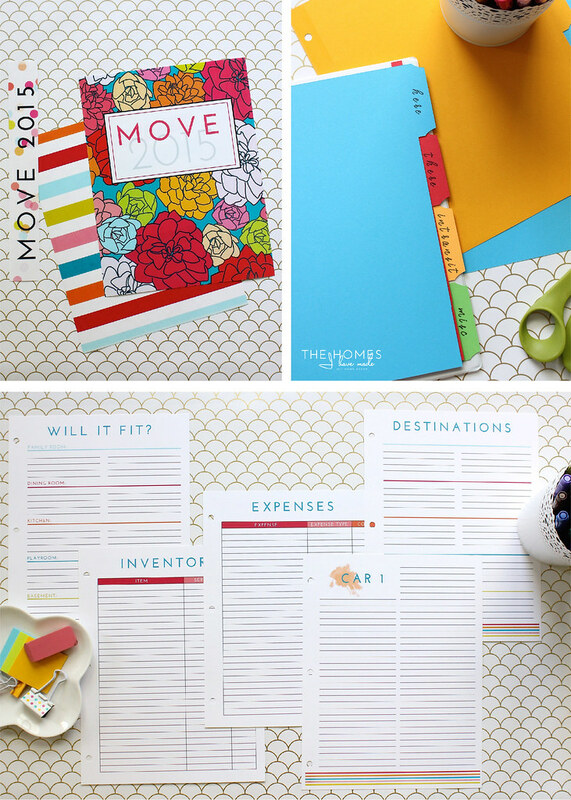 20+ FREE printable pages + an editable Spreadsheet to help you plan and organize every detail of your next move! 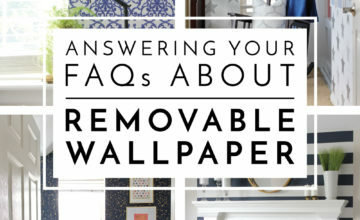 Subscribe below & they'll be sent straight to your Inbox! LOOKING FOR MORE PRINTABLE MOVING RESOURCES? 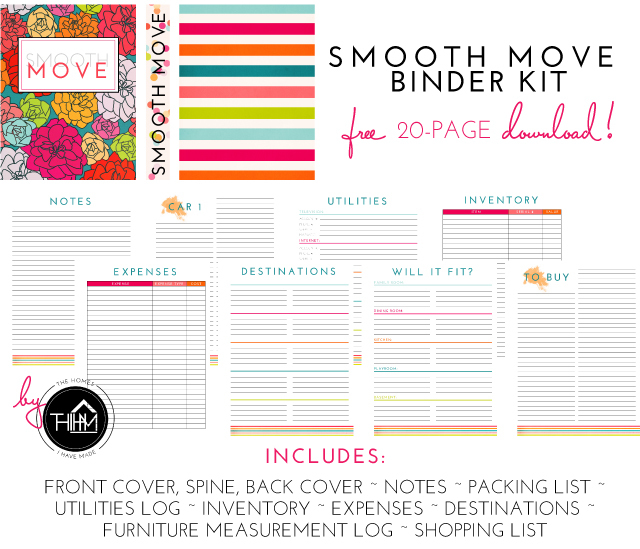 The Smooth Move mini kit has now been expanded to a 135+ page kit that features beautiful printable worksheets to organize every last detail of your move! 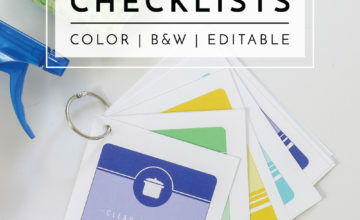 From box inventory sheets and labels, change of address checklists, space planners and more, the pretty pages in this kit can help you work through it all! 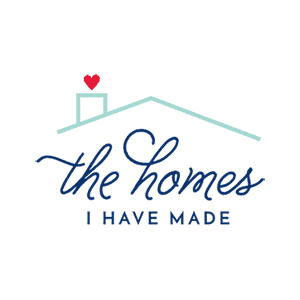 Learn all about this brand, new comprehensive kit HERE! 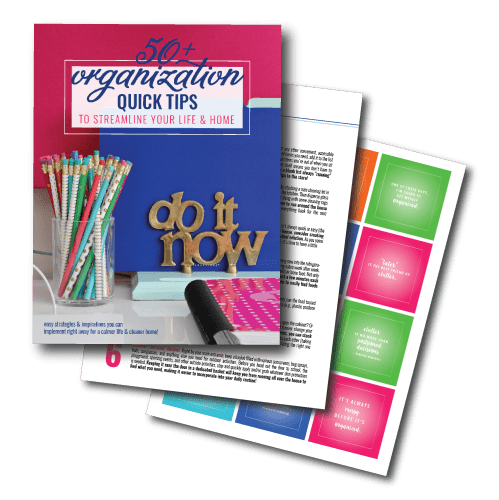 I’m so thrilled that so many of you reached out for these moving resources. 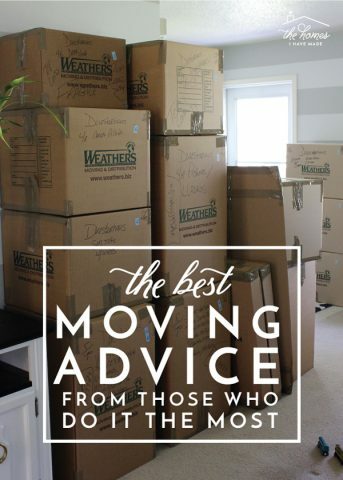 I really hope you find them useful and they really help you make a Smooth Move…no matter how far or how frequently you’re moving! 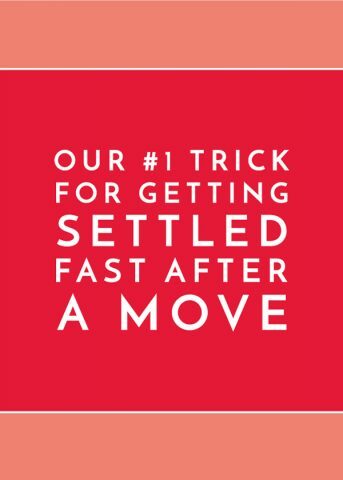 Pssssttt – Need more moving advice? 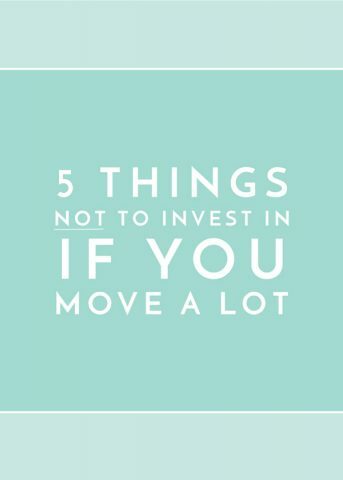 Check out these great tips and tricks! 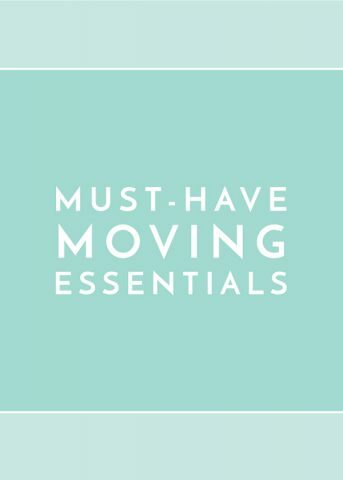 20+ FREE pages to help you plan and organize every detail of your next move.